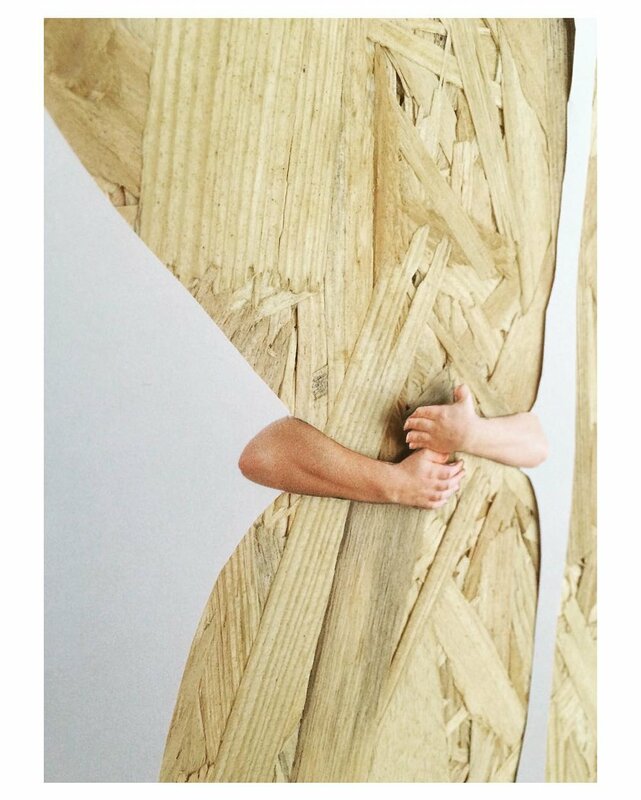 You can’t help but crack a smile when you look at Stine Munk Jørgensen's collages, the creator behind StilhedIstuen. A Danish fashion designer and artist fueled by an abstract imagination and a quirky sense of humour, Stine's work has a curious tactility and magnetism that communicates beyond the screen. As part of Stine's working process she uses cuttings from old magazines and books giving them a second life as works of art. 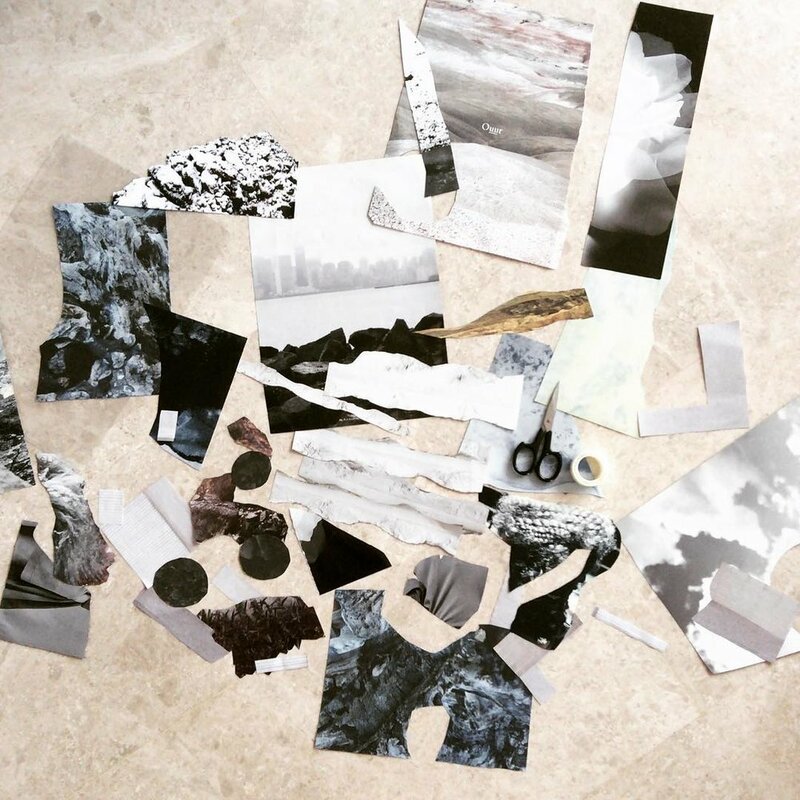 I had the chance to ask Stine a few questions about her work, how it has evolved and how she uses collage to unlock her subconscious creativity. 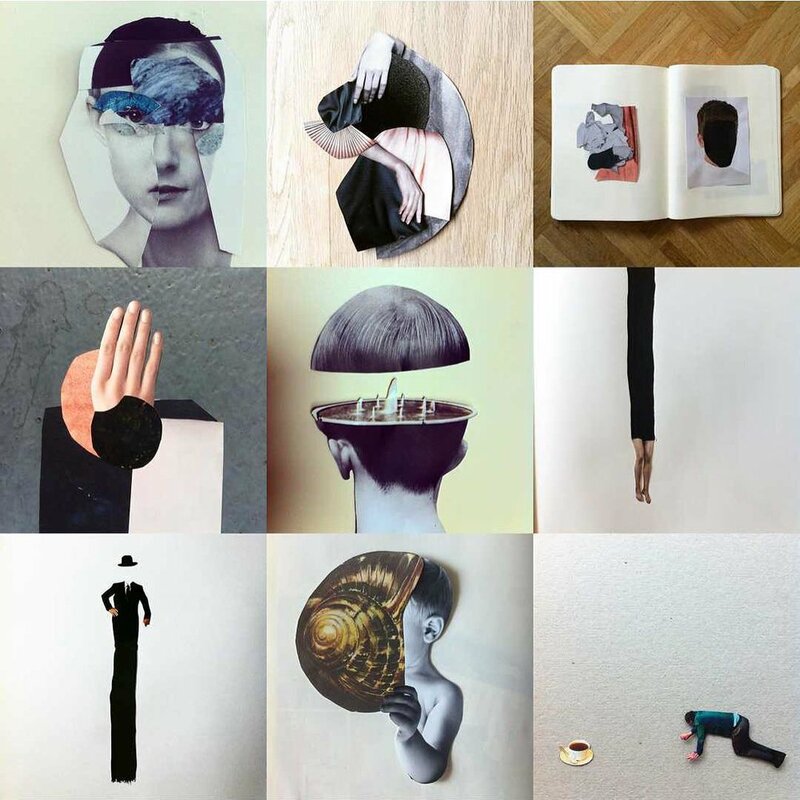 Read on to see some beautiful collages and hear about Stine's unique approach and style. I never know what I am going to make and I am never working on anything. I have a box of cuttings that I lay out in front of me, I often cut things out from books and magazines that I find exciting or inspiring…it may become a collage at some point. Sometimes I make ten collages in a couple of hours and sometimes I don’t even make one in a whole evening but then I cut things out and listen to music and enjoy myself. The beauty of not making it a profession is that I don’t have to perform or think about/analyze what kind of collages people want. It is just me and what I want to do and something I enjoy. 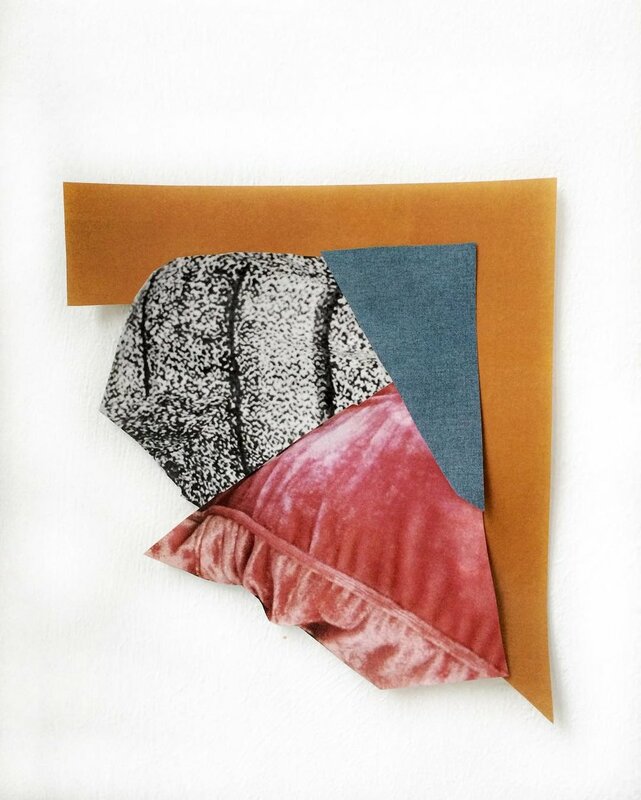 I work with abstract colour and texture and with humorous storytelling in my collages. Two different outcomes but both are very much me. I love it when I can make a collage out of two simple pieces of paper and tell a completely different story from very little. Its actually the hardest part to use as little cuttings as possible. I sit in front of a computer at least 7 hours a day! My collages are not something where I can scale things to make them fit, either they fit or they don't and then I have to make another solution. That is what I find challenging and intriguing about hand making collages. I buy a lot of books and magazines in secondhand shops. The first couple of times I cut from pages of books I felt a bit bad. However I believe picking my favorite parts and using them for collages that become works of art on walls is better than dusty closed books on a shelf. Two things particularly resonate with me about Stine's process and art; the mindful approach of using less (cuttings) to communicate more and the act of up-cycling old magazines and books into something completely new. As Designers and consumers I believe we can learn alot from these principles. What resonates with you most? Do you up-cycle, reclaim or recycle materials in your work or everyday life? If so it would be inspiring to hear from you, just leave a comment below or tag #tactiletrends on Instagram or Facebook to start the conversation.